What a Day!! Huge thanks to everyone who organised and took part in “The Longest Day” 2015 event which took place on the 20th June in Castleisland, Co. Kerry! 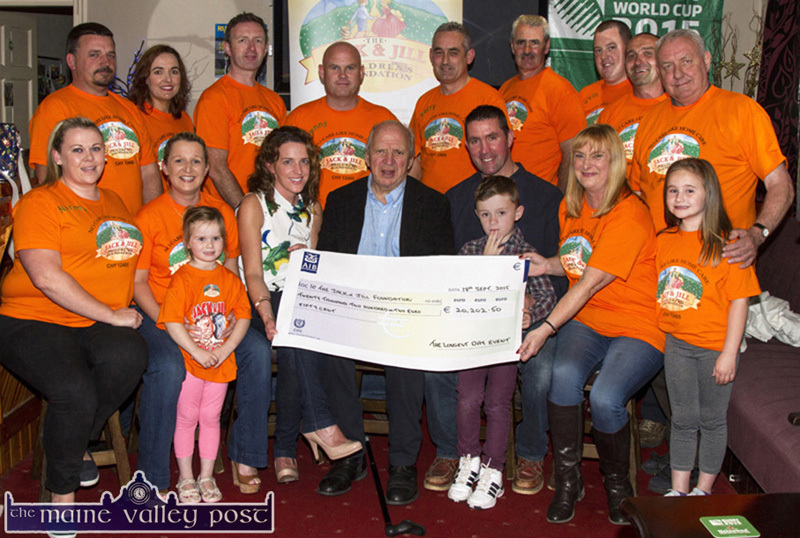 Over 200 people gathered at Tom McCarthy’s Bar to take to their bikes to cycle to Carrauntoohill, climb the highest mountain, and then cycle back again. Aided by Kerry Mountain Rescue to keep everyone safe, a fantastic night of fun followed after such a challenging day. 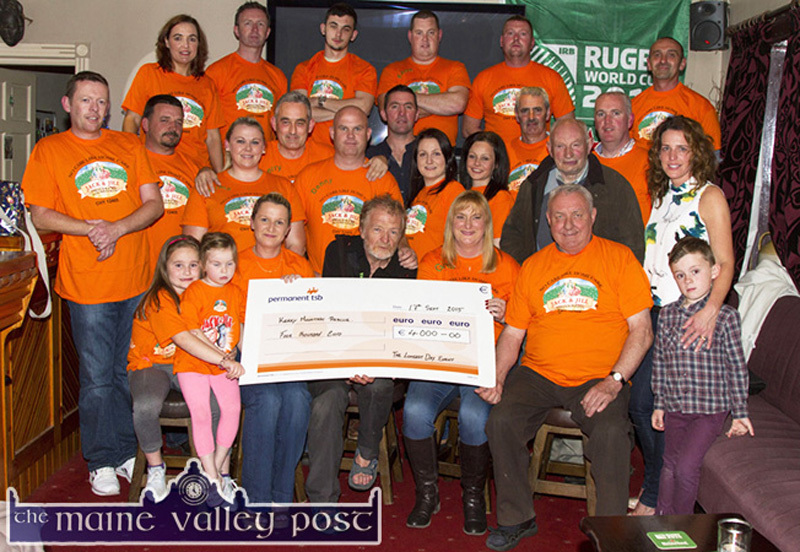 A fantastic €20,022.50 was raised for Jack & Jill which the organising committee presented to Jonathan Irwin on his visit to Castleisland. This extremely generous donation has provided a whopping 1,262 hours of home nursing care for Jack & Jill children! Sincere thanks to Georgina Fagan, Gerry Fagan, Tom McCarthy, Denny Greaney, Eileen Greaney, Norman Moran and everyone who put so much hard work into making the event the wonderful success it was.